Things are not always what they seem to be…. 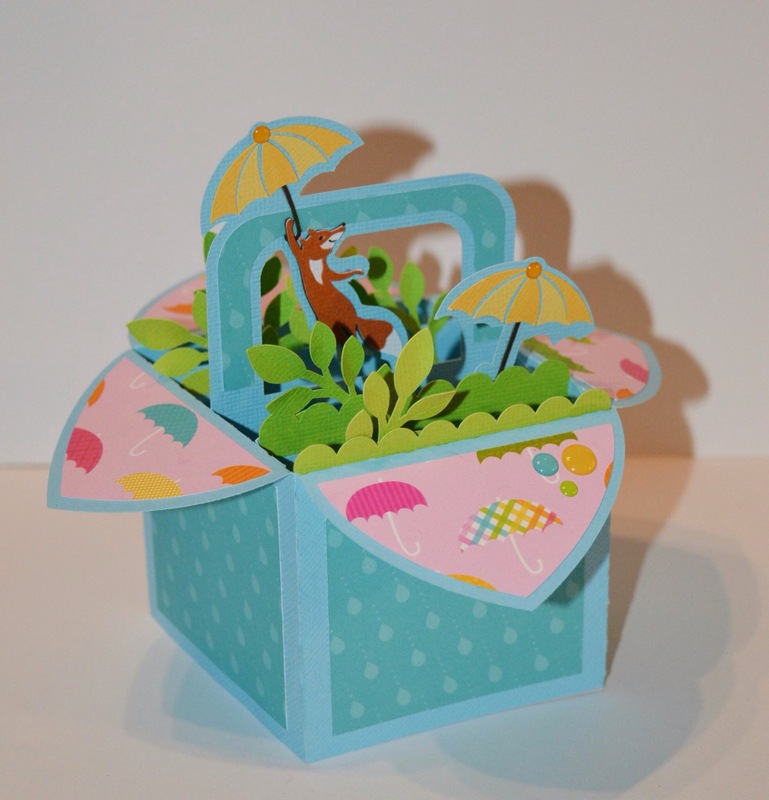 Tonight I wanted to make one of the cute box cards from the Silhouette Online Store – Animal Explosion Basket – Cats by MiniLou. 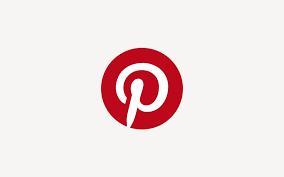 I did wonder a bit on the name…but not being as bright as I thought I was, I went to work on it. Not even when I had the file on the mat did it hit me…..so I carried on….cutting out all the pieces and started to assemble the box. Yup…THE BOX. 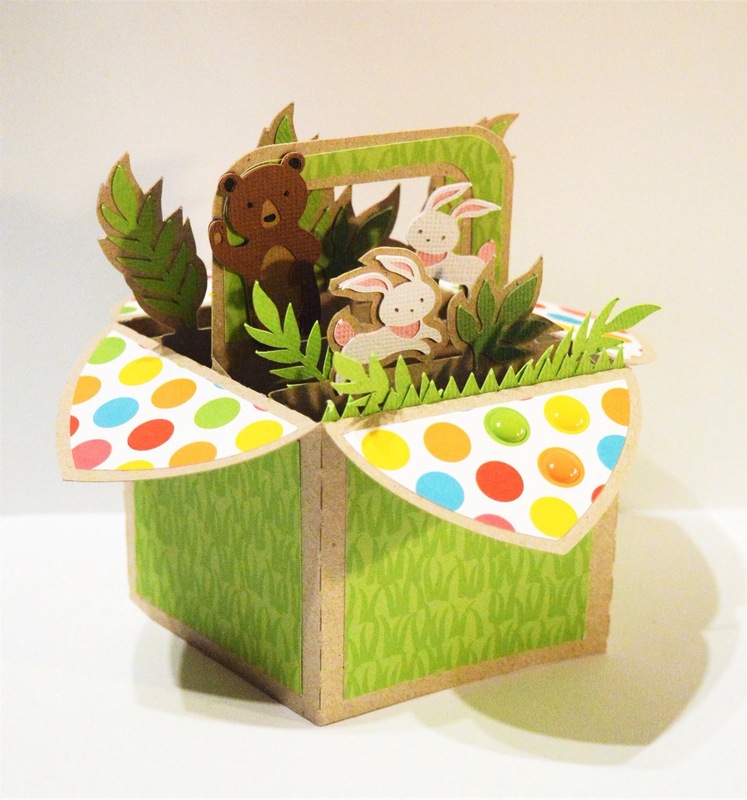 This was no box card but a box-box….to put something in….like small pieces of candy. Darn it! Oh well….I finished the job and looked at the result. Now that is where I decided to turn it into what I thought it was to begin with. 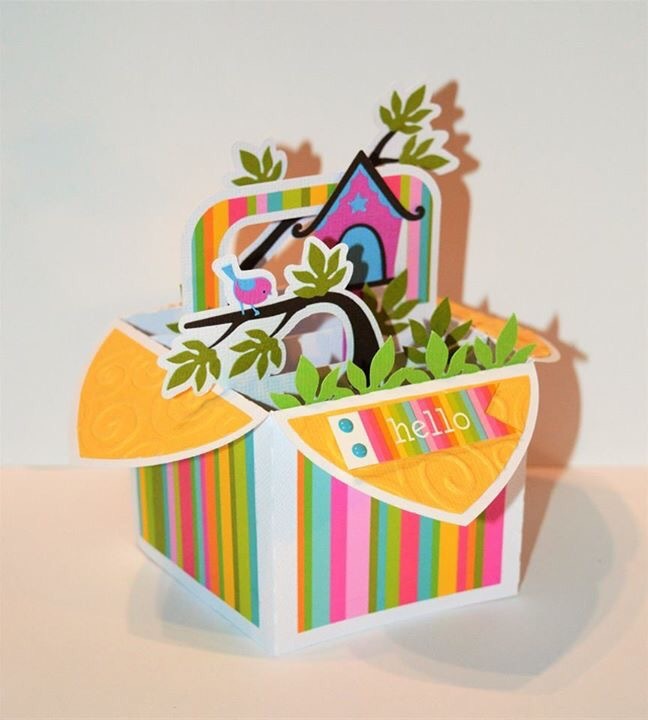 A Box Card. 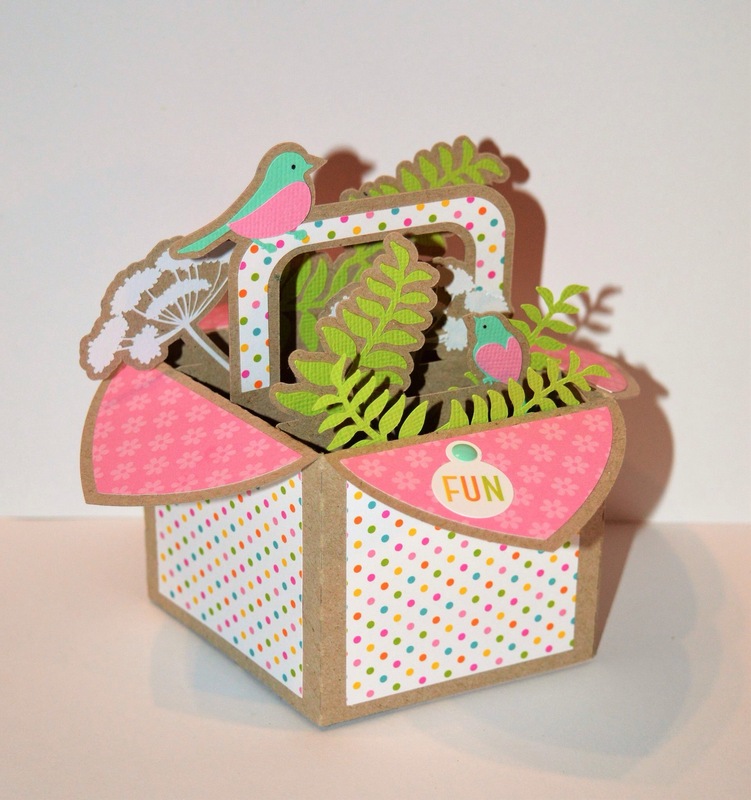 So I used the box from the Strawberry Basket Box Card from SVGCuts’ Box Cards SVG Kit (Cause it had the “handle” like the one from the Explosion Basket) I had to resize the box a little and cut a little from the middle pieces to make it all fit together…..but it worked! 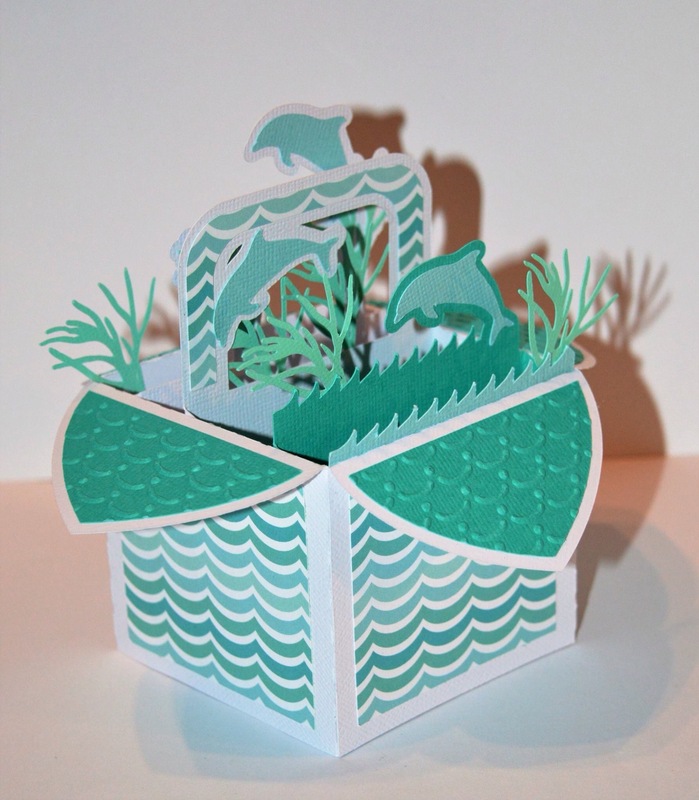 I did the exactly same thing for the next Box Card/Explosion Basket – Animal Explosion Basket – Ocean by MiniLou. For this one I used Prima’s Seashore paperpad 6×6, a ticket from Seashore Tags and Tickets set and some dots also from the Seashore Collection. The Box Card measures the same as the one above and in both cases there is an evelope inclosed in the SVGCuts Box Cards SVG Kit.